Yay! It’s finally spring!! Anyone else agree the was the longest winter in the history of ever? I shouldn’t even be complaining, because we had such a warm winter. I am however excited to see the flowers and leaves on the trees again. Winter is always so glum and gloomy around here. I’m ready for the sunshine! 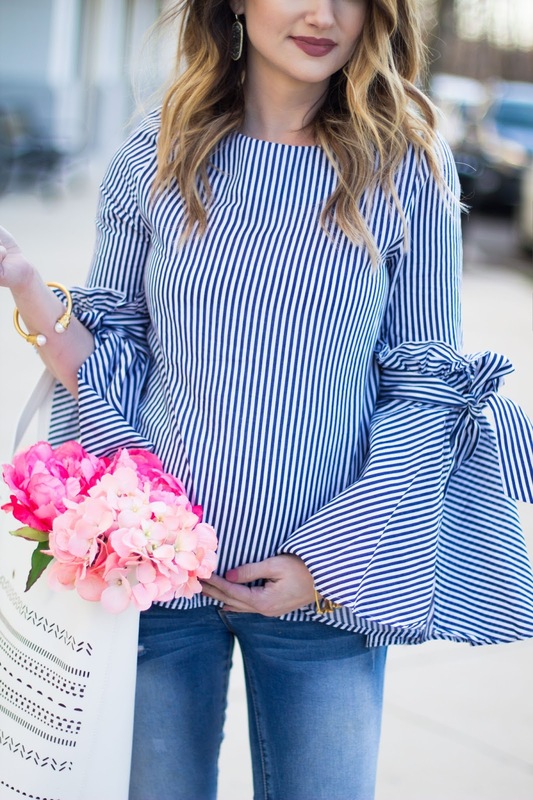 This adorable bell sleeve stripe blouse from Chicwish is perfect for celebrating the arrival of such a beautiful season. Can we just talk about the adorable sleeves on this beauty? I love that it is so feminine, and gives a little flare compared to similar style tops. 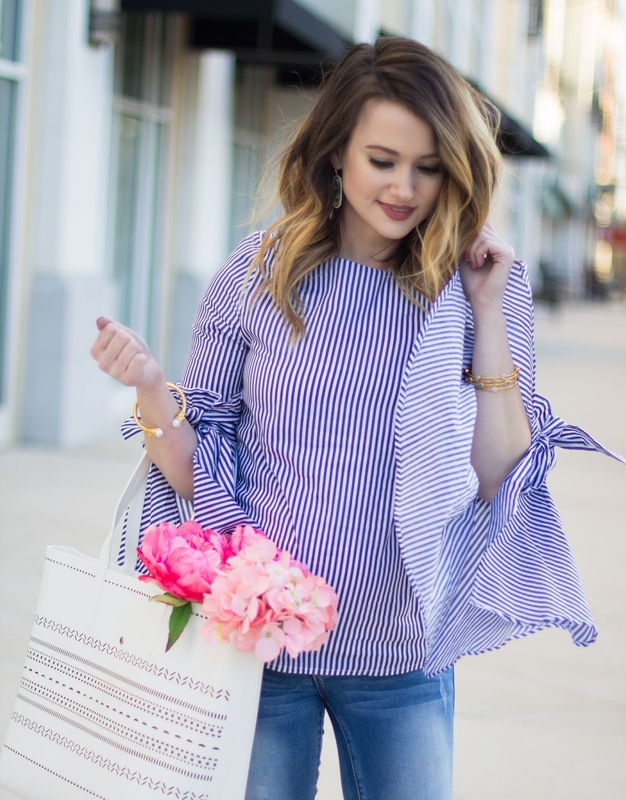 It is currently on sale for under $45, and is a must have spring top in my honest opinion. I will be sad the day it doesn’t fit over my giant belly, so ill likely have it on repeat a few times until then. 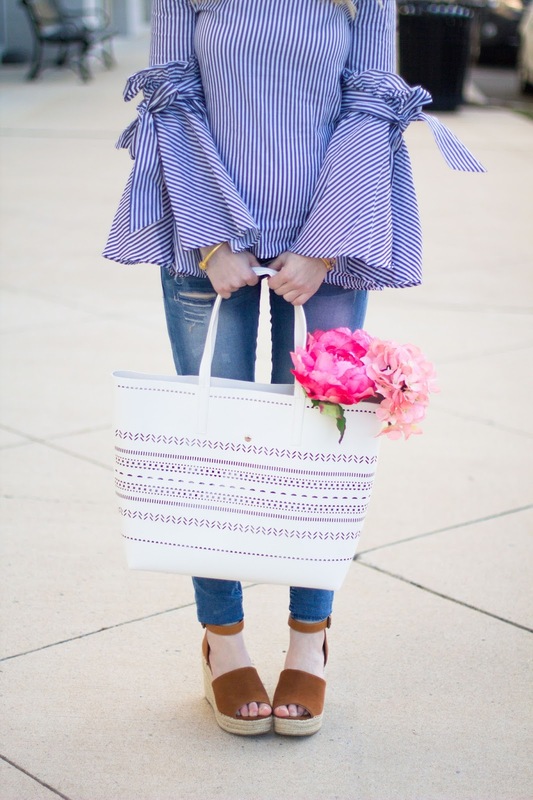 I paired it with an adorable white tote that’s perfect for spring. This particular version just sold out, but I found an adorable similar version for a steal here. It also gave me an excuse to finally bust out my favorite spring/summer espadrille wedges. You guys, this color goes with almost everything and the price is pretty great too! I hope you all are having a wonderful week! 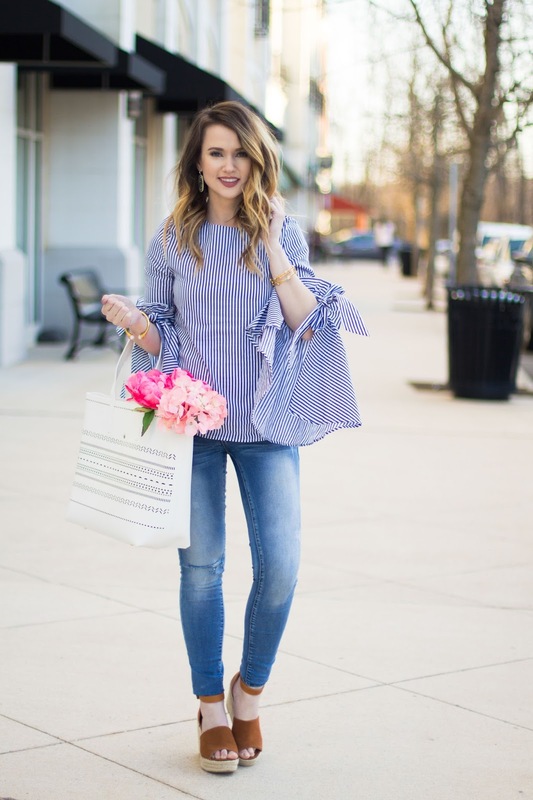 Stay tuned for some more spring outfits coming your way. I’m finally feeling well enough to catch up on blog posts. Stay tuned!